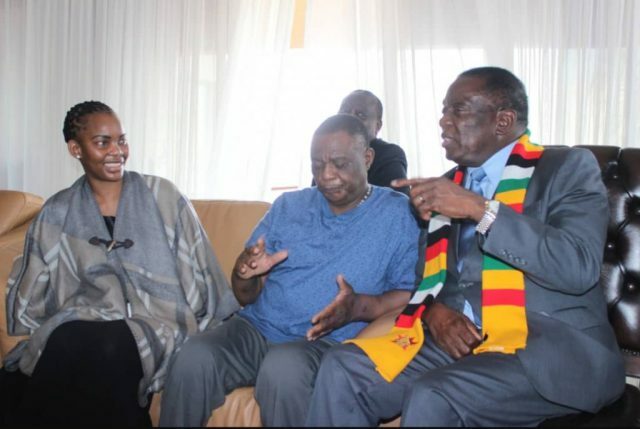 The Deputy Minister of Information, Publicity and Broadcasting inadvertently disclosed on Twitter today that Vice President Constantino Chiwenga is indeed in India where he is receiving treatment for an ailment. Mutodi said the ailment is abdominal. The vice president’s health has been the subject of wide speculation after he was reportedly flown to South Africa and then back quickly after public protests at the hospital he was admitted at. He then appeared on ZBC television soon after saying that he was alive and well, even though the media wished him dead. Chiwenga appeared visibly sick and Zimbabweans noted a significant change in appearance from weeks earlier. Chiwenga’s emergency health trip to India was first reported by ZimLive.com. The state media and Information Ministry has been silent on Chiwenga’s health, save for Mutodi’s tweet today.